Gone are the days when you had to wait until the Friday morning after Thanksgiving to start your holiday shopping. Now there are sales in the week leading up to it, both online and in-store! When looking to purchase gifts, we want to buy something that excites and surprises our loved ones. That present that guarantees the “wow factor”. It’s also great if we can cross all the items off our shopping list by visiting as few stores as possible, right? This is why I like shopping at RadioShack. From the latest must-have tech gadgets to electronic toys, RadioShack offers fantastic deals, fun gifts, and last-minute necessities during the hectic weeks leading up to the holidays. 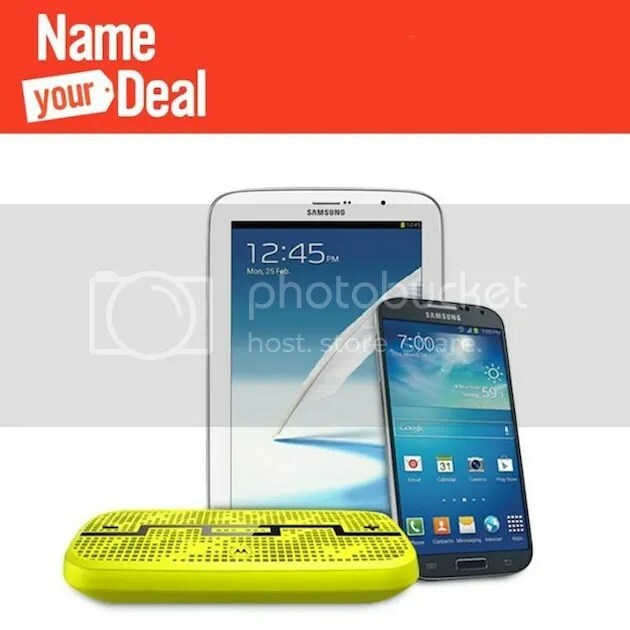 Recently, RadioShack gave consumers the power to ‘Name Your Deal’ on the hottest gifts and products this winter. On November 27th, based on your submissions, RadioShack will select the five top deals and users will have the chance to get a coupon code for each product. Click here to check out which deals received the most votes and grab a coupon code! RadioShack will definitely be one of the first stores I visit on Friday. (Stores open at 8am.) I’m looking for a tablet for my husband, and a backup charger, as his netbook just died. A Fitbit Flex would be a nice gift for my mom, and I’m sure I could find something for my girls there, too. You can find Black Friday deals of up to 80% off starting online Thanksgiving Day on RadioShack.com. And the RadioShack Cyber Monday sale begins Dec. 2 at 12 am! With nearly 2,000 recently renovated locations with redesigned interiors and even more stores with new and exciting merchandise, RadioShack hopes to improve your in-store shopping experience while offering a convenient, one-stop shop for holiday purchases this season. I haven’t been to there in a while, so I’m looking forward to my little shopping trip. I’ll let you know how it goes!